His confrontation with the Jewish leaders came to a head. They challenged Jesus, and each time He silenced them with truth from God’s Word. Their conclusion: Jesus must be destroyed. Jesus’ conclusion: His hearers need an eternal perspective that results in total dedication to God. The dramatic events that followed upon the final entrance of Jesus into Jerusalem cry out for explanation. God’s King in God’s House with God’s Heart was rejected. The crowds went from hanging on his every word to demanding that he be hung on a cross. And he was hung on a cross. Crucifixion. But then God raised him from the dead. Resurrection. Trace the story and the question arises: What happened? What was going on?  Answer: the Rejected Stone was made the Cornerstone. Near the end of his ministry we are told that Jesus “set his face to go to Jerusalem” (Luke 9:51) one last time. It would be a long and extended journey. With today’s text we come to the end of that journey: God’s King in God’s House with God’s Heart. Today’s passage records the last parable Jesus tells before He enters Jerusalem for the final time. In fact, Jesus told this parable because He was about to enter Jerusalem, and people were supposing the Kingdom of God was about to appear. 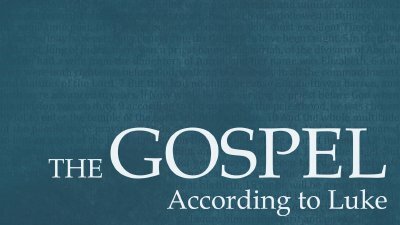 Today we will examine Jesus’ response to these assumptions, and what it means for us now. As Jesus nears Jerusalem for the final time, He enters Jericho and prophesies the fate that awaits Him—suffering and death. While in Jericho, Jesus encounters two men that were discounted and shoved aside by the surrounding crowds. And yet, these two men received mercy when they encountered Jesus. And this is the reason Jesus came—to seek and save people such as these. When we talk of the impossible being possible with God, it helps to be specific about the human impossibility under consideration. If we are not careful, our talk easily becomes curious chatter, philosophic speculation, or motivational hype, rather than a life-altering truth encounter. So, let’s be specific: a rich person entering the kingdom of God is a human impossibility, but “what is impossible with men is possible with God." The amazing grace of justification and the astounding gift of the kingdom both flow the same direction: toward the lowly heart—the heart that is both repentant before God and dependent upon God. That is good news. In conversations about the “End Times” we often ask the wrong questions and give confusing answers. Better to ask the right question and give a clear answer. That will only happen if we begin by listening to Jesus and addressing the question he asked. As Jesus nears Jerusalem for the final time, He encounters ten lepers who cry out to Him for mercy. Jesus grants that mercy, and they are cleansed. The only one of the cleansed men who returns to thank Jesus is a Samaritan, someone who was not typically considered to be one of God’s people. As Jesus nears Jerusalem for the final time, Jesus speaks about the duty that is expected of His servants. They will be a people who confront sin and forgive others. They will also be empowered through faith in a way that defies explanation. However, this unusual way of living – confronting sin and forgiving others – isn’t considered exemplary. It is simply what is expected of His servants. Jesus made a practice of confronting the way people view and use money. This led Him to confront the Pharisees, who were lovers of money, on numerous occasions. One of these confrontations is recorded in the parable of the rich man and Lazarus, which we will look at today.